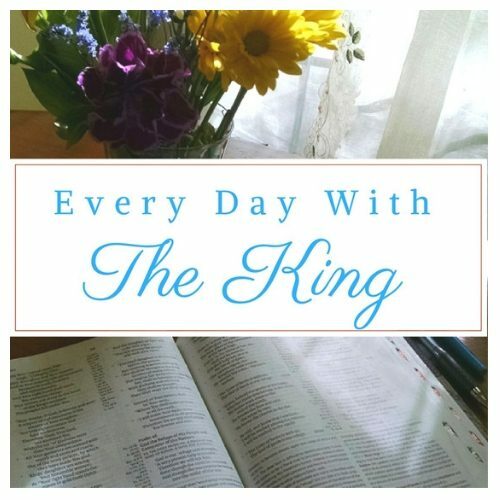 The focus here on the blog and on the Every Day with the King Facebook Page will be the subject of PRAYER for the months of July and August. To kick off this Summer of Prayer let’s spend 5 minutes with 97-year-old Edith Leland. I believe you will be inspired and challenged. Welcome to Summer of Prayer! Sign up to follow the blog by email to have every post sent directly to you. Be sure to Like and Follow the Facebook Page because there will be many quotes, videos, articles, resources and more about prayer on the page. I also want to invite you to share your thoughts, questions, suggestions on prayer here on the blog and/or on the Facebook page. Design Your Daily Quiet Time E-Course will be available soon! This course is for those who seek to have a daily quiet time but struggle to make it a habit. If you already enjoy a vibrant quiet time each day, I believe you will also find something here to enrich your experience. Enrollment in the course also includes access to a private Facebook group just for participants. After becoming a believer I lived with the frustration and disappointment of not being able to maintain a consistent daily quiet time habit. It actually was many years before I finally came to the point where I am today. Now my daily quiet time is the best part of my day. I believe that the practice of a daily time alone with Jesus is the most important thing you can do each day. It is not a task to check off your to-do list nor should it be a struggle to develop. Without a consistent daily quiet time, you cannot expect your relationship with Jesus to grow! This course combined with the private Facebook group (included with enrollment) will provide you with an abundance of practical help, equipping you to design your daily quiet time. Regardless of what your quiet time experience has been, it can become something to look forward to each day and enjoy! Design Your Daily Quiet Time E-Course will soon be available! Sign up now!